Welcome to the future of websites. We've been doing it a different way since 2012. We help clients with 'live' online technology that's simply 10 years ahead, at an affordable price. Our software is built, maintained and supported in the UK by quality British software engineers. We build compelling and stunning websites for our clients, for desktop, tablet & mobile. They both visually and functionally excel. We go way beyond responsive design using our live 'cloud hosted' technology. We make it simple to run your online business from your sofa. We've pushed our CMS (Content Management System) way ahead of the pack using our 'live' technology. Edit your website, add products to your eCommerce with a right click, edit & save. We push changes instantly to any viewing clients without refresh. What if you could control your online business from your bed or sofa using your mobile? Late to open your store then update your opening hours like using an app. We take away the pain of maintaining your company content and products. Want easy? Imagine a world where there is no concept of mobile apps. Whatever the device, mobile, tablet or desktop we resize perfectly. It's way beyond responsive design since our powerful technology runs securely in the cloud. Just one solution. We might live & work in the United Kingdom but we have satisifed clients worldwide. We're always around during UK business hours 9AM to 6PM GMT/BST. However our live software solutions are self monitoring, self healing and robust. It's been tested 395/24/7 since 2012. Want to know more? Our eCommerce Solution. We've been working with The Hawthorn Gallery since 2012. They use our out of the box eCommerce solution that's been tailored to their exact branding. The retail functionality from back office invoicing to selling online comes out of the box. 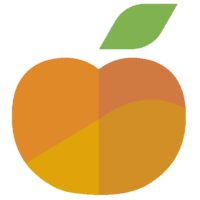 Why not click VISIT, open live chat & ask about Project Peach today? We can do this for your online retail business. Doing it differently since 2012. We're simply 10 years ahead. Our software is designed, coded, maintained, supported & hosted in the United Kingdom.